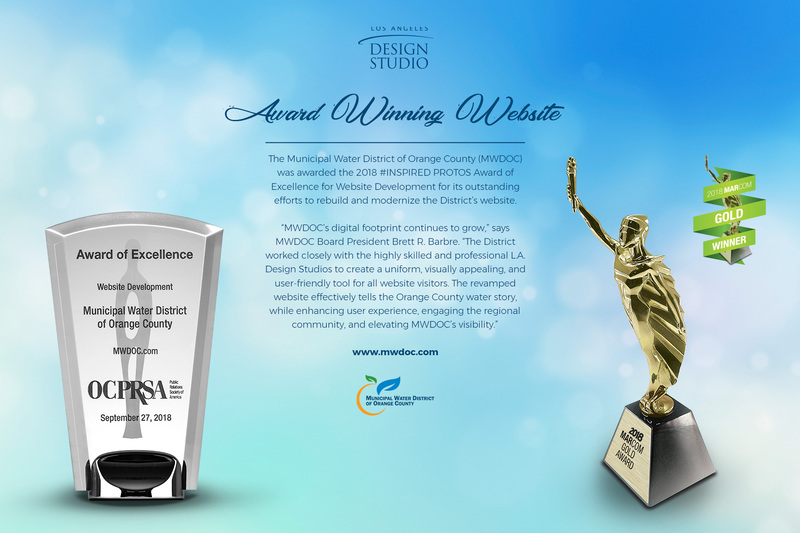 The Municipal Water District of Orange County (MWDOC) was awarded the 2018 #INSPIRED PROTOS Award of Excellence for Website Development for its outstanding efforts to rebuild and modernize the District’s website, MWDOC.com. This valuable resource serves as the primary water information hub for all of Orange County. The award was presented by the Orange County Public Relations Society of America (OCPRSA) at the 43rd annual OCPRSA PROTOS Awards Gala on September 27, 2018. In addition, this website also won the Gold Marcom for Digital Media, in the website category Municipality. If a particular product grabs the attention of a prospective customer, obviously it never hurts to let them know what other products they might also be interested in. Promoting a more expensive model of the same product a customer is looking at (or promoting accessories or special features that go with that product) is called upselling, while promoting a related, complementary product is called cross-selling. If the customer is looking at a laptop, suggesting that they add more RAM or a bigger hard drive would be an example of upselling, whereas suggesting that they also buy a printer would be cross-selling. A robust platform like WooCommerce can facilitate upselling and cross-selling on your ecommerce site through the use of categories and tags. WooCommerce also gives you fine-grained control by allowing you to pick which product(s) should be promoted as up-sells for a particular product and which should be promoted as cross-sales. If you want up-sells in the form of more expensive features for the current product, WooCommerce has you covered there too through its product options system. It’s important to help the customer find just what they’re looking for on your ecommerce site through a dynamic system that offers keyword search, filtering by product attributes (size, color, manufacturer, etc.) and sorting by things like price, top-rated, etc. This system would ideally be single-page (i.e., no page reloads are involved) for the smoothest customer experience. For keyword search, all words associated with products (categories, tags, metadata, etc.) should be considered, not just names and descriptions. For filtering, some options should be automatically disabled depending on the results so that the customer isn’t frustrated by selecting an option only to see the same results appear. Being able to see multiple angles of a product, or see the parts/accessories that come with that product, makes for a richer customer experience on an ecommerce site. In particular, being able to see such images at high resolutions is more likely to convince them to make a purchase. A lightbox gallery is the best approach for displaying high-resolution images without directing the customer away from the product page. By default the lightbox should not overflow the display and should shrink the full-size image if necessary, but the customer should have the option to override this if they want to see the highest resolution possible. Individually adding and editing every product you have for sale on your ecommerce site is probably woefully inefficient, especially if you have hundreds or thousands of products. Instead, it’s better to collate your data in a spreadsheet file and run it through a program that will update or insert your products accordingly. A generic product importer can do the job, but will probably require you to use special syntax in your column headers for complex things like product options, metadata, etc. A custom-coded importer, one that’s especially made for your store, can simplify things for you by allowing you to use whatever column headers make sense to you. Our programmers are ready to build such a solution for you! Not all shipping services are created equal, especially not if you’re selling overseas. Depending on the customer’s location, UPS might be the best choice for them, or it might be FedEx. Consider offering more than one shipping service on your ecommerce site even if you’re only selling in the U.S. Your customers will appreciate having more options to choose from, and will more likely be satisfied that they got the best deal. Installation is a snap: Just unzip the core package in the target web directory, navigate to that directory in a web browser, follow the step-by-step instructions and you’ll have a site going in minutes. WordPress websites administrative backend makes it simple to do all kinds of tasks. Need to install a plugin or theme? In most cases all you have to do is search for the theme/plugin using the appropriate admin search tool and you can then install what you’re looking for right from the search results. There’s usually no need to manually upload theme/plugin files, but just in case (say, if you’re using a premium theme/plugin that is not hosted at wordpress.org) the admin provides a way for you to do just that from your browser. You don’t even need to use an FTP client. The WordPress admin also notifies you when themes, plugins or WordPress itself have updates, and makes it easy to apply updates with the click of a button. The WordPress core even updates itself automatically for minor bug-fix updates. Writing your own plugins and themes and activating them in the admin is as easy as dropping the right files into place. The key to using WordPress’s programming framework is learning its system of hooks and callbacks. The core defines its own set of named hooks, and distinguishes between hooks that are actions (the callback code is expected to perform some action(s) without returning a value) and those that are filters (the callback code is expected to return a value). In addition, plugins and themes can define their own hooks. These custom hooks can be useful for outside developers who want to alter the behavior of a theme/plugin in some way, or they can be useful internally for modularizing code. For example, if there’s a point in the execution of your code where various actions could happen, you can make that point a custom action hook and define different callbacks that hook into it. If you need to apply various transformations to a piece of data, that’s where defining a custom filter hook would come in handy: all the transformations can be separated into callback functions, each of which hooks into the filter. Currently there are over 50,000 plugins on WordPress.org alone, and even more on third-party websites. Some of the most popular include Akismet (an anti-spam tool), WooCommerce (an e-commerce platform), Yoast SEO (for all your search engine optimization needs), W3 Total Cache (a complete caching solution) and Gravity Forms (build powerful forms to stay in touch with your users). When logged in as an admin, a handy toolbar at the top of the page follows you wherever you go, even on frontend pages. If you’re on a frontend page (or post) and want to edit it, you can jump to editing in the admin by clicking a button in the toolbar. While editing, you can preview your changes on the frontend before saving them. In addition, the WordPress Appearance Customizer allows you to edit certain parts of the site (widgets, nav menus, site logos, etc.) right on the site, with your changes immediately available to preview before saving. WordPress’s Media Manager allows you to add images, videos and documents through a drag-and-drop interface. If you’re editing a page or post and need to add media to it, the Add Media button brings up this same drag-and-drop interface while also giving you the ability to search existing media. You can even build a gallery with this same interface just by selecting multiple media items. WordPress automatically generates various resolutions (thumbnail, medium, large, full-size) for each image uploaded. You can then select from one of these resolutions when adding to the post/page. Videos are also a snap to embed, even if they’re hosted on platforms like YouTube or Vimeo. You don’t need to bother with embed code, just click the video icon and enter the URL of the video, WordPress takes care of the rest automatically. L.A. Design Studio® is a 1-stop shop for all our web needs – creative design concepts, website development, photography, video production, ecommerce, custom wordpress and digital marketing. Contact us today for free website consultation. – this 360 virtual tour showcases an interior with various hotspots that can be used to highlight information, including text, photos, youtube videos and more. Be sure to click on the back doors to be taken to an exterior scene. – this 360 virtual tour showcases a series of exterior images, be sure to click inside the arch to experience a live day-to-night transition. 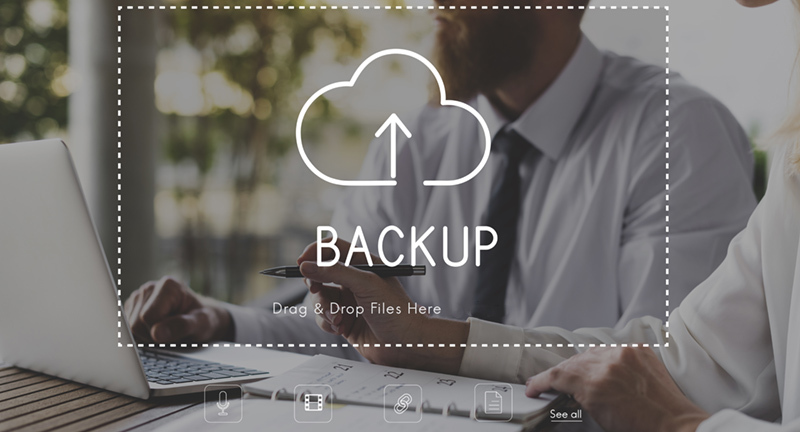 Most hosts offer some type of website backup service, but they are either on the same server, on-site, or just not consistent. They also don’t provide a simple solution to restore. We are now offering off-site backups for all of our clients. This is an add-on for our web hosting packages, as well as an offering for any wordpress website on other hosts. Our solution utilizes a plugin that automatically creates website backups and sends to an offsite location. In our case, we are using dropbox. We recommend a weekly backup and storing up to 4 sets, which will give you a month’s history. Do you NEED off-site backups? I hope not. In 20 years, we have only needed to perform an emergency restore one time. One of our clients didn’t realize their hosting account expired. The hosting company removed all of the web files. Fortunately, we had off-site backups enabled and were able to quickly restore onto a new host. Since wordpress websites are database dependent, they are not easily stored, migrated or rebuilt. With offsite backups, it can generally be done with a few clicks. Off-site backups also allow for easy migration between hosts and servers. Is your website “not secure”? In July, 2018 Google Chrome is making it official, if your site does NOT have a security certificate, visitors will see this warning. Google has been recommending SSL certificates for website security and also suggesting it will boost search engine rankings, too. The solution is pretty simple, get an SSL certificate for your website. Most of our clients already have ssl installed, and if you’re hosting with us, it’s included. Some hosting companies will charge $75+ per year. If you are adding an SSL certificate to your website, make sure the website is automatically forwarding to the https version. It is also critical to check all paths, as sometimes urls (pages, posts, images, scripts, external resources, etc) are not configured to https and may need to be updated. Not sure, contact us to review your website security. Recently Google.com announced some changes to the Google Maps Platform, they are calling it a simplified product structure, pay as you go pricing for all, and more. “Beginning June 11th, we are launching our new pricing plan and providing all users access to support. We’ll continue to offer a free tier — all developers will receive $200 of free monthly usage of our core products. How does this affect your website? If you have a simple google map, a dealer locator using google maps, this may have impact. It all comes down to how you are using the APIs, and how much website traffic you are generating. In general, most users should remain in the “free” threshold. How about a rough breakdown on the costs? Can we put Google Maps on your website without using the Google Maps APIs? Yes. Google Maps now offers the ability to embed the map that you’re viewing into your website or blog, without any programming or use of the Google Maps APIs. More information is available here. Want more details, take a look at the google website documentation here. Still have questions, contact us for website solutions. Could Your Website Use More Video? Web design is important, but you need great content to persuade customers to work with your company, or to buy your products and services. More and more, business owners are discovering the power of online video, and the way it can be used to supplement text and static images. Is it possible that you could use video on your website to generate more leads or sales? Could a few clips help cut down on the number of customer service requests you have to answer? Could video just make your website more interesting and engaging? Based on our experience with dozens of companies, the answers to all of these questions are probably “yes.” But, integrating video into your business website can be overwhelming. That’s why today we want to give you a few simple and straightforward ways you can use video on your pages. It has been well documented that most people have a fear of the unknown. That is, they’ll stick to routines that are familiar even if trying something new might benefit them. You can use this to your advantage by offering website visitors a virtual tour of your company. Then, they’ll be more likely to stop by because they’ll feel like they’ve already had the experience of being there. In the same way you want your location to be familiar to potential customers, you can use online video to introduce them to your staff, as well. This can be surprisingly effective, especially if you work in a people-oriented business. The more friendly and accessible you and your team are on your website, the easier it will be to generate phone calls, appointments, and walk-in visits. There are some product features or competitive strengths that are difficult to explain with text. And, people have an easier time believing what they’ve seen with their own eyes over what they have read on a web page. Putting those two truths together, it’s easy to see why a video demonstration can be much more compelling than a simple product or service page would be. Nothing adds credibility to your business like testimonials from previous customers who have had good experiences. And, by presenting these in video format, you turn your satisfied buyers into real people rather than anonymous names and faces on a website. Plus, online video reviews and testimonials can be shared through your social media profiles for extra effect. Sometimes the most effective online marketing videos have little to do with marketing at all. Numerous entrepreneurs have discovered they can get interest from customers by posting videos of their pets, their favorite charities, or even little jokes or pranks. You don’t want your website to be full of silly videos, of course, but having a couple of them can separate you from all the other vendors out there in buyers’ minds. Online video used to be a novelty for marketers with huge production budgets. Now it’s easy to create and edit a clip that can go online within hours. We hope you’ll give these ideas a bit of thought, and then see how a handful of clips might help you take your sales and marketing efforts to the next level. Check out our Los Angeles video production portfolio. Looking for online marketing recommendations that are tailored to your business and situation? Contact our creative team today to schedule a free consultation and see what we can do for you. As of January 2018, WordPress was used by more than 29.3% of the top 10 million websites. This is a staggering figure and it continues to rise everyday. Everything from simple websites, to blogs, to complex portals and enterprise websites, even applications are built with WordPress. WordPress websites combine simplicity for users and publishers with under-the-hood complexity for developers. This makes it flexible while still being easy-to-use. WordPress was born out of a desire for an elegant, well-architectured personal publishing system built on PHP and MySQL and licensed under the GPL. By focusing on user experience and web standards, the goal is to create a tool different from anything else out there. The following is a list of some of the features that come as standard with WordPress, however there are literally thousands of plugins that extend what WordPress does, so the actual functionality is nearly limitless. On top of that, our team can custom code php and databases to create some truly unique experiences and applications. Search engine giant Google is supposed to push out a new algorithm on April 21, 2015. One of the big changes we expect to see – if your website is NOT mobile-friendly, it will be punished in the search results, or should we say, websites optimized for mobile devices will be favored. Some people are stating that if you are not mobile-friendly your website will virtually disappear from all results. We believe that this new element will only impact users searching on mobile devices (mobiles and tablets). We believe desktop users will still get results from non-mobile-friendly websites in a similar manner. Why is Google making this mobile-friendly shift? Nearly 20% of all searches are done via a mobile device (keep in mind this includes tablets). Search engines want relevant information that is easily accessible by scrolling vertically, loading quickly and easily read. What should you do if your website is NOT mobile-friendly? Option 1) Consider a redesign or responsive adaptation to your current website. This would likely require a significant investment and take a little time, but is well worth it in the long run. Option 2) Develop a mobile specific website, or at the very least, a mobile specific home page. This is a quick and dirty solution that can work well in the short term, but keep in mind that these mobile pages are unique from your desktop website and are therefore viewed as different pages by Google. Mobile influence is huge, get on board quick! Contact us for a free web consultation.